The baby was a clown! My friend Sarah did actually say this as a kid. 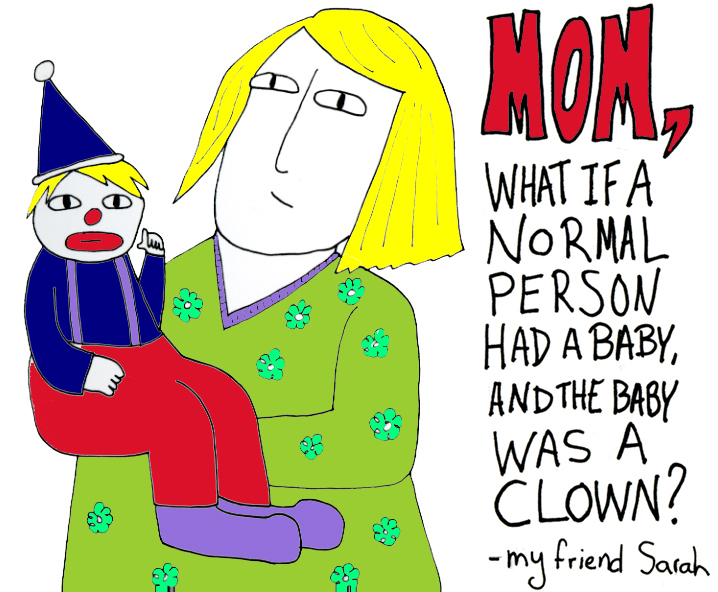 Published March 21, 2012 at 718 × 592 in Clown Baby.